Today I am very happy to have over my dear friend and fellow writer Kayla Dawn Thomas, an author of “Swept Up” and Jenna Ray stories “Pricked” and “Narrow Miss”. 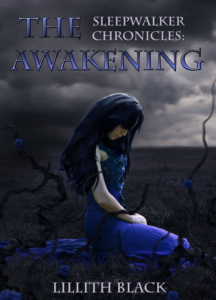 Kayla is a fantastic writer and I always wanted to find out what her writing process is like. Kayla was gracious to write this treat of a post for my blog. Enjoy! 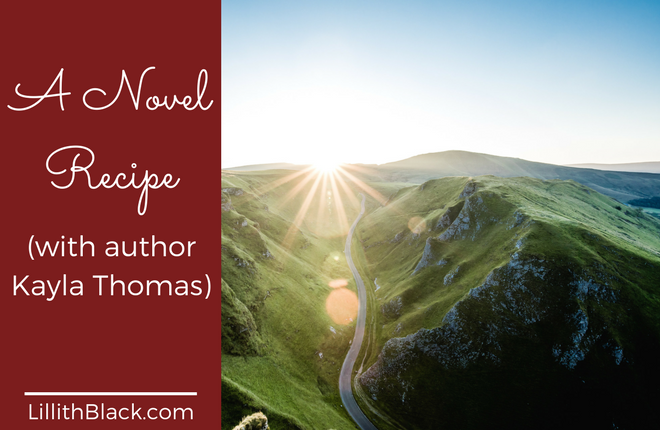 Since Lillith invited me over to her blog (thanks, friend) right before Thanksgiving, and everyone is thinking about what recipes to prepare for one of the biggest American eating days of the year, I decided to give my current recipe for writing books. Writing is a dynamic process, so I predict what I do now will evolve over time, as I get better at the craft, but at the moment, this is my go-to formula. There isn’t anything pretty about this step, just the excitement of a new idea. I store all my ideas in Evernote, and when it’s time to develop one, I go to my murder board (huge Castle fan here). The murder board is a large white board, and so far no one’s died on it yet, but my career is young. Using dry erase markers, I start sketching characters and making a rough outline of what they’re going to do. I often turn up the tunes and dance around my office during this phase—I warned you, there’s nothing pretty at this point. Basically my time in front of the murder board is like a big pep rally, getting me pumped to write a new book. Once the skeleton of the book is on the murder board, I take a picture of it and put the picture in Evernote so I have it with me wherever I end up working. Then I warm up my fingers and start typing. I go fast and furious, allowing characters to lead me down rabbit holes, trying to ignore typos. Overthinking at this point will introduce doubt and fear. I have to keep moving. Depending on the project, this first pass through the story can take anywhere from two weeks to four months. My first novel, Swept Up, was drafted in about four months. The Jenna Ray novellas are usually wrapped up in two to three weeks. Once the quick and dirty draft is in the system, I let it marinate for two days. Some writers insist that a piece should go in a drawer for months before even considering looking at it again, but I have a business to run, folks. So far two days has been a sufficient amount of time for me to clear my head enough to go back to the project with fresh eyes. I print it out and grab a red pen and commence with tearing the story apart. It’s probably good that I’m not a real surgeon, as my incisions aren’t neat or precise. Red ink turns the pages into a football diagram of arrows drawn to stars marking hand written paragraphs to add, huge X’s cutting out entire sections, sticky notes slapped on the page like Band-Aids with instructions to myself for when I return to the computer to implement all the changes. There’s nothing pretty about this stage of the process either. Once my handwritten edits are entered into the document and it’s neatly stitched up, I send the book to my beta readers. This team of brave, loyal individuals blocks the public from my bad writing. I’ve whittled it down to five reliable people. These are folks who love me and care enough about my work to be brutally honest. They applaud the awesome, but won’t hesitate to call me out for getting lazy with details or being inconsistent with my character development. If necessary, they’d tell me my idea isn’t going to fly. Thankfully, that hasn’t happened yet. I have finally grown enough as a writer not to cry when beta comments come into my inbox. You know how Harry Potter always has a long chat with Dumbledore at the end of the early books? Dumbledore gives Harry great insight and wisdom about the adventure he’s just experienced. This is how I feel when I send my third draft to my editor. Jackie is a lovely woman. She’s compassionate and knowledgeable, but she keeps me in line. My writing has improved so much since Jackie boarded my writing train. She peels back the layers and makes sure I’ve gotten everything possible out of my characters and their story is as brilliant as possible. She also catches at least 98% of my grammar and spelling mistakes. This may seem masochistic, but I look forward to getting Jackie’s notes. I’m not sure how many authors can say that about their editors. Editor’s notes in hand, I go through the book one more time. Have you been counting? This is the fourth draft. By this time, I’m pretty done with the story, but now I’m focusing on my readers. I want them to have the best experience possible with my work, so this last pass through is really important. Once this step is finished, I format and do all the little things necessary to get my work out to the public. When I published Swept Up, I remember feeling a little lost. Friends kept saying, “Kayla, you wrote a book!” It took a day or so for the accomplishment to sink in. After publishing a couple more things, I’ve learned embrace the victory every time and reward myself with a good glass of wine or champagne. In addition to Swept Up, Kayla has also written the Jenna Ray Stories. The second novella in the series, Pricked, is now available for pre-order on Amazon and will officially release November 26, 2014. You can find Kayla on her website and Facebook. 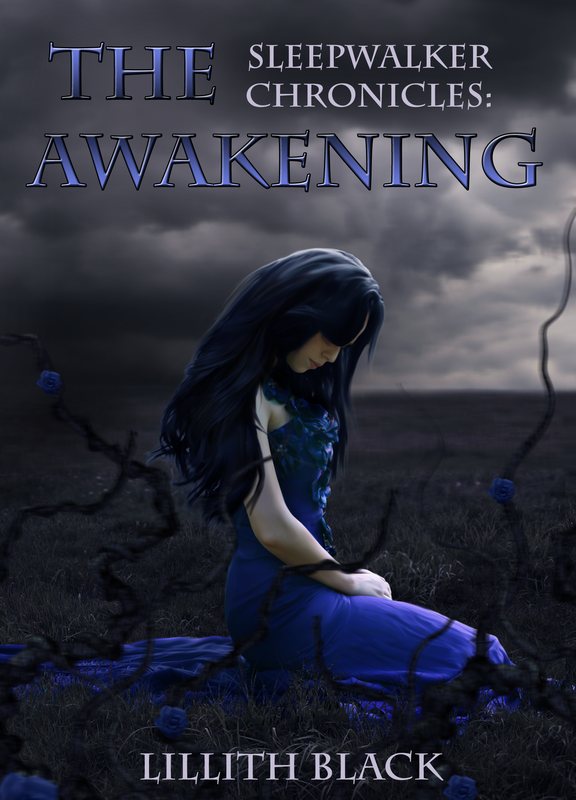 ←Sleepwalker Chronicles: The Awakening is HERE! I loved peeping into your process and outline you used. Mostly I loved that you used the WHITE BOARD and still use red ink–both so visual and hands-on. Thank you! Kayla Dawn Thomas is a very creative person and her process fascinated me as well! “Murder board” is awesome, isn’t it? I might try one out myself!